Auto-return yo-yo for a beginner. 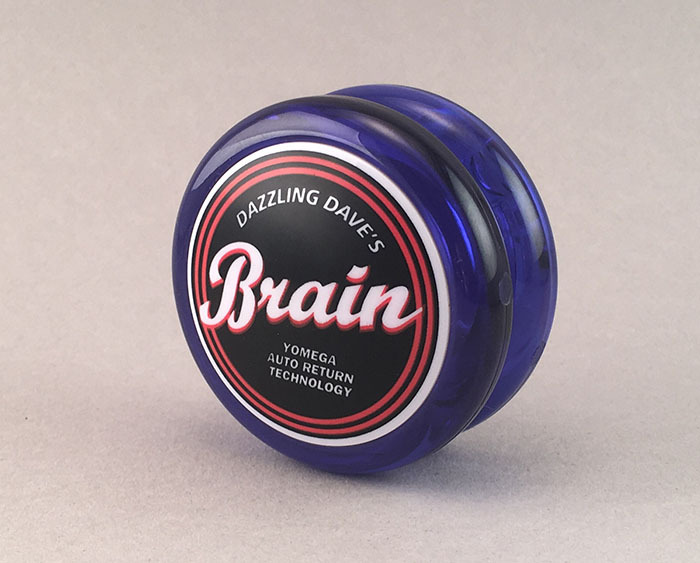 The Brain yo-yo has a plastic axle with a rubber o-ring that fits into the special centrifugal clutch. If the yo-yo is thrown straight and hard enough, the clutch will open and allow the yo-yo to sleep. 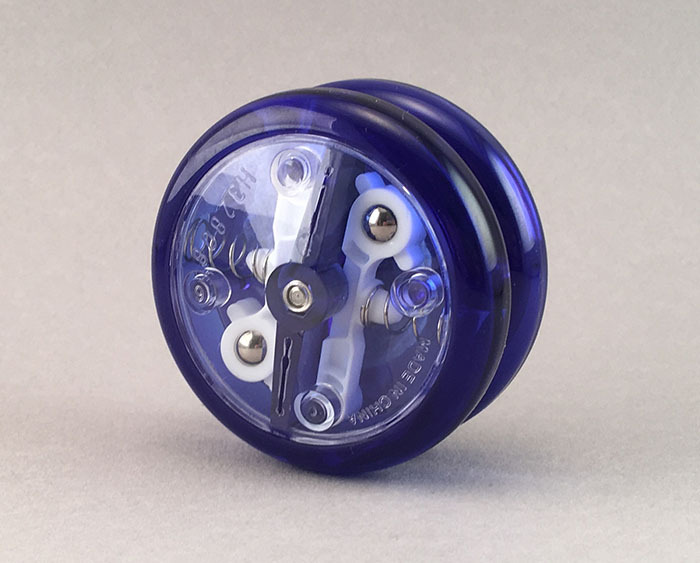 As it slows down, the clutch closes and grabs the axle, and the yo-yo returns by itself. 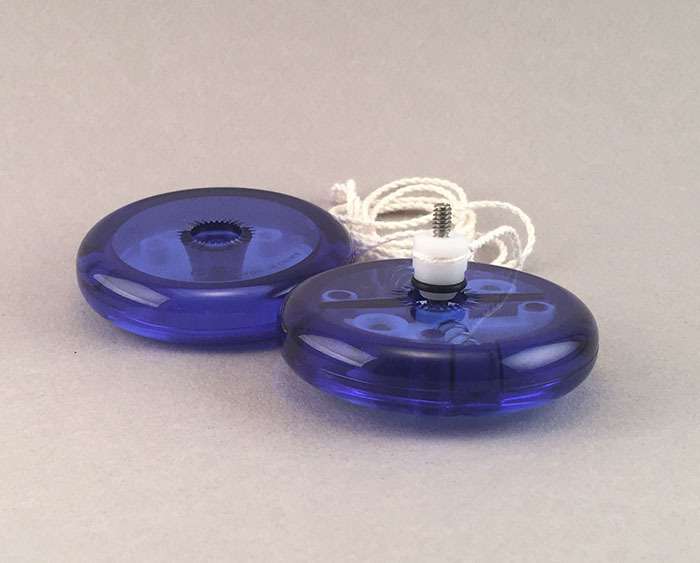 If the yo-yo is NOT thrown hard enough, the clutch will not allow the yo-yo to sleep. 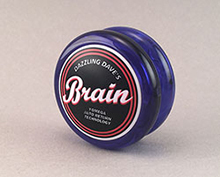 This makes the basic dribble, throwdown, and non-sleeping tricks easier for the beginner. 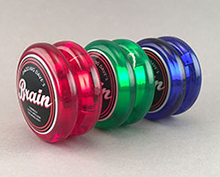 This yo-yo is best suited for a beginning yo-yo player who is 8 years and older.